Swaggering into Brighton carrying the WWE United Kingdom Championship, ‘The Bruiserweight’ made his debut at RIPTIDE Returns as part of the dastardly British Strong Style group alongside Trent Seven and Tyler Bate. It didn’t take long for the cocky trio to find themselves beloved by the crowd at the Brighthelm Centre, largely owing to a highly entertaining once-in-a-lifetime performance opposite Joey Ryan, Candice LeRae and Colt Cabana. 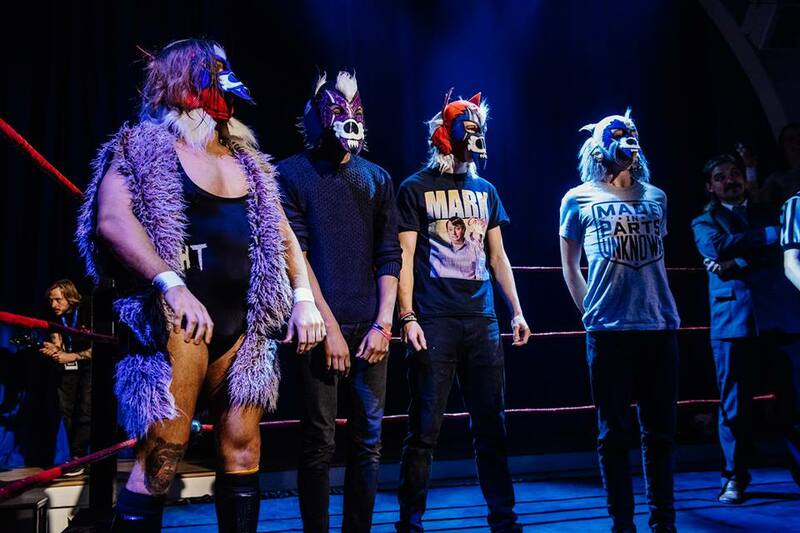 Dunne resurfaced by surprise at RIPTIDE: The Storm, successfully replacing an injured Kid Lykos to team with Chris Brookes in the ‘Shitwolf Invitational Replacement Replica Mask 2017’. The Bruiserweight’s most recent outing at RIPTIDE: Brighton Spirit saw him and his British Strong Style teammates grab a victory over Millie McKenzie and the Aussie Open. Whether Dunne, now a popular regular on WWE’s NXT broadcast, will be back in a RIPTIDE ring any time soon remains to be seen, but wrestling fans in Brighton are thankful to have witnessed one of the world’s best grapplers up close and personal at the Brighthelm Centre. A range of Pete Dunne merchandise can be bought over at Pete Dunne’s WWE Euroshop webstore.